Billy Billingham grew up tough; a grim future ahead of him offering little respite from the hostile streets he walked. Leaving school at eleven years of age, the threat of borstal hanging over his head, running with gangs in Birmingham, and almost being killed in a knife fight eventually led to Billy discovering the British armed forces at sixteen years of age. It would be the making of him. Billingham would graduate from the Royal Marine cadets to enlisting with the Parachute Regiment in 1983, where he would serve with distinction as a Patrol Commander and expert sniper. In 1991 he took on an even bigger challenge – taking the SAS course – the fearsome and secretive elite special forces unit with a well-won reputation for excellence in operating in extreme and hazardous conditions. He excelled in this life, rising to the rank of sergeant major for the regiment, and undertaking dozens of classified and extremely dangerous missions. He would ultimately serve seventeen years with the SAS, serving in countless war zones, winning a commendation for bravery and being awarded the MBE. After leaving the army he would embrace the life of a bodyguard to Hollywood stars such as Angelina Jolie, Brad Pitt, Sir Michael Caine, Tom Cruise and Russell Crowe, before being recruited as one of the lead instructors on SAS - Who Dares Wins for television. 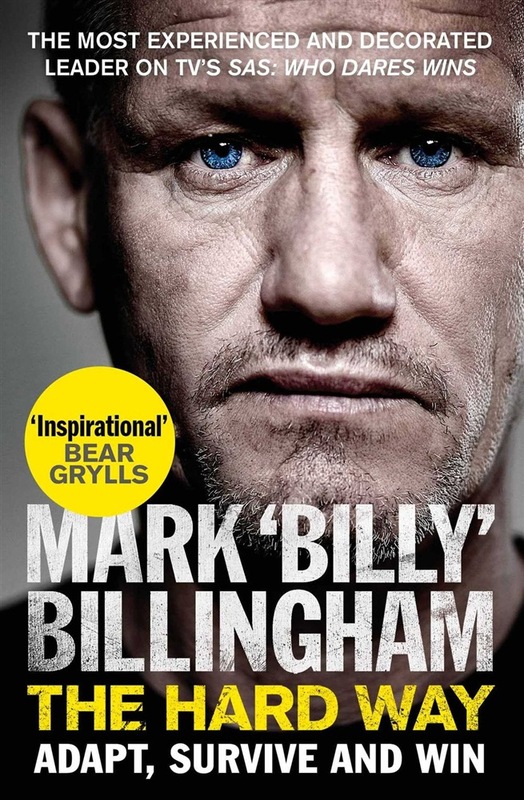 Billy is a highly-decorated veteran; with a reputation for excellence, honesty and integrity not only supporting his comrades Ant Middleton, Jason Fox and Ollie Ollerton, but equally intimidating and inspiring the contestants who take on the gruelling challenges each week. The Hard Way details Billy’s story thus far, but will also educate and enthral those wishing to seek a challenge and conquer it – the SAS way. Acquista The Hard Way in Epub: dopo aver letto l’ebook The Hard Way di Mark Billingham ti invitiamo a lasciarci una Recensione qui sotto: sarà utile agli utenti che non abbiano ancora letto questo libro e che vogliano avere delle opinioni altrui. L’opinione su di un libro è molto soggettiva e per questo leggere eventuali recensioni negative non ci dovrà frenare dall’acquisto, anzi dovrà spingerci ad acquistare il libro in fretta per poter dire la nostra ed eventualmente smentire quanto commentato da altri, contribuendo ad arricchire più possibile i commenti e dare sempre più spunti di confronto al pubblico online.